Second studio recording of the world tour concert series Distant Worlds. 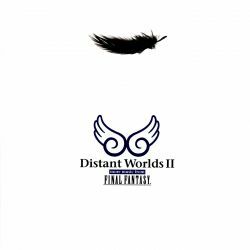 Digital Download advance release of Distant Worlds II will be available on May 1st at store.ffdistantworlds.com. published worldwide by: Warner/Chappell Music, Inc.
original publisher: SQUARE ENIX CO., LTD.
special thanks to: Stefan Forsberg and all of our friends at the RSPO and SQUARE ENIX CO., LTD.